Owned by Facebook, Messenger is an instant messaging app. As a social networking website, Facebook can post comments, share images and videos or other interesting content on the web. More and more people are fond of using Facebook to communicate with their friends. Now follow me to get some tips on how to send voice memos to Facebook. 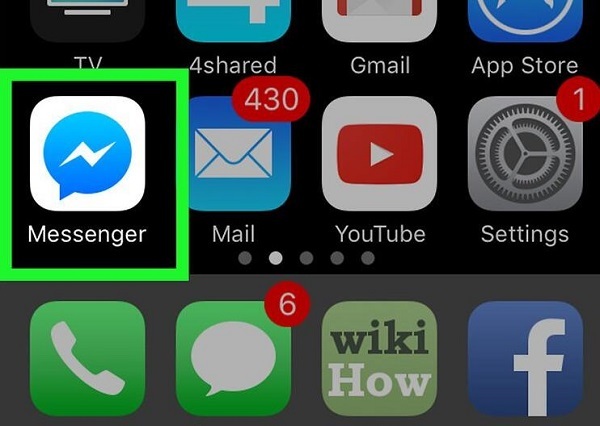 Step 1: Open Messenger app on your iPhone. Step 2: Tap the name of the person you want to send the voice memos to. On the conversation screen, click "+" in the bottom left corner to select the file to send. Your time is precious and limited. So when it comes to the organization of your data like messages, voice files or photos, it’s not uncommon to wonder: what management tool can save the most time and efforts? You might therefore expect that there is something now capable of making you an efficient guy. And you are definitely right. The thing to keep in mind: the more time you earn by using an effective management tool, the more efficiency you will enjoy in your life. So in order to maximize the time and efforts you save, you need to focus on what I am going to show you in detail. What you need is a tool which is equipped with both friendly interface and easy-to-use functions to perform as a highly efficient helper ever. The professionals have rigorously studied the specific demand of most users and common ability they have about the data organization, and they’ve determined which management tool is the best for organizing every little data. Leawo iTransfer for Mac is the one exactly designed for you. There is a rule “less is more” originated from architecture you may have heard a lot in design. Actually, it is equally essential in UI design. No one can deny that an interface is designed to be concise and easy to understand and use IS the perfect choice for everybody. Leawo iTransfer is exactly the one makes the “less is more” approach perfect. You can find whatever you want on Leawo iTransfer without any efforts. You can transfer and back up all kinds of iOS data like voice, photos, videos and contacts between any iOS devices and Mac or PC. Every detail is precisely pointed out and even the very beginners have no difficulties using it. As all the developers know, it is always crucial to keep in mind that the primary goals of the users. Also, if you can perfectly prioritize the needs of the users to bring them the best experience as much as possible, that would be great. Thus, this is what Leawo iTransfer can give you. It is fair that you cannot give 100% confidence on something without personally experiencing it. Although without giving it a shot is absolutely not a good idea. Don’t worry. It is not a problem for you to worry about anymore. Leawo iTransfer offers you two versions to take a shot. You can get the free version to try it first and decide if it can be your choice. Then you can pay for the permanent license if you really like it. Now please let me take you on a journey with me to see how great it is by learning how to send voice memos to Facebook on a computer via Leawo iTransfer for Mac. Open iTunes on your Mac. Choose "Edit > Preferences > Devices". 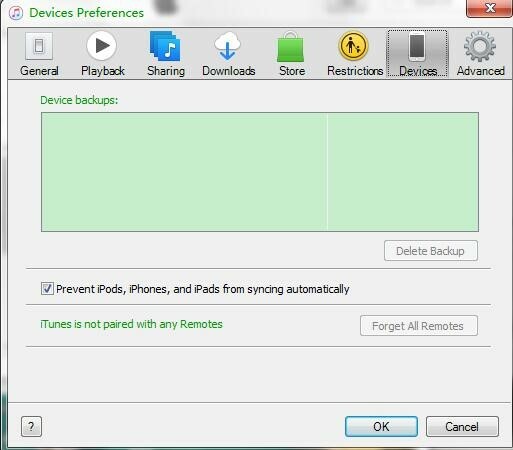 Check the box beside "Prevent iPods, iPhones, and iPads from syncing automatically". Click "OK". Step 2: Connect your iPhone to your Mac. Connect your iPhone to your Mac with the USB cable. Click the icon which looks like an iPhone. Step 3: Click "Music" in the sidebar. Check the box beside "Sync Music" and keep in mind to select "include voice memos". Click "Apply". 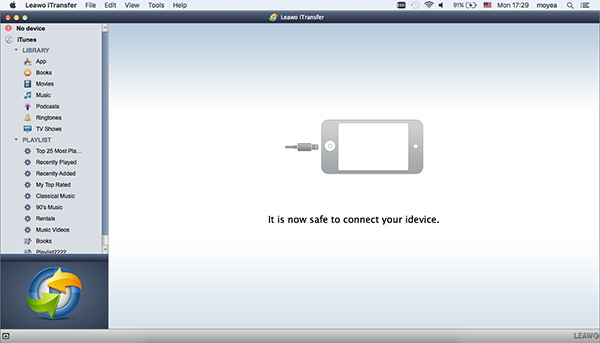 Easily download Leawo iTransfer from the official site and install it on your Mac. 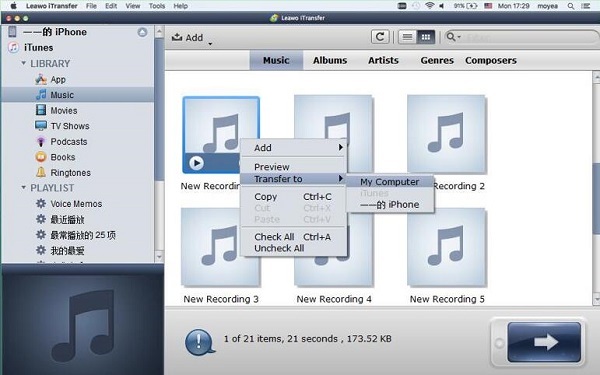 Leawo iTransfer can automatically scan your iOS device and you can see all the information on your iPhone can be showed on the right area since you have connected your iPhone to your Mac on step 2. Choose "iTunes > LIBRARY > Music". Select the voice memo you would like to transfer to your Mac or simply make some selections by holding "Command". Right-click the selected item and choose "Transfer to > My Computer" to save it to your Mac. Or you can click the arrow below. On the pop-up window, select "Save to folder" and click "change" to select the destination folder on your Mac. Then click "Transfer Now". 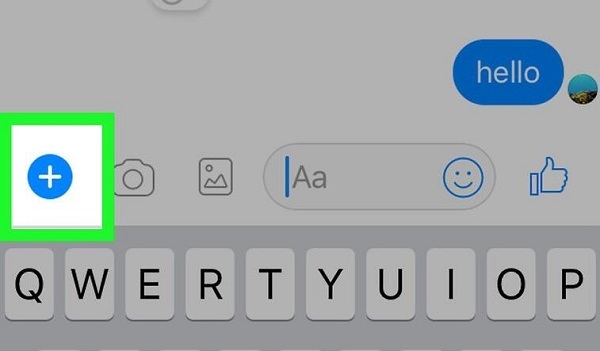 Step 1: Sign in to Facebook’s Messenger Website. 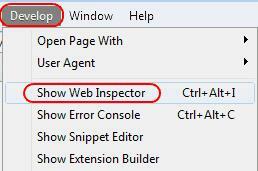 Choose "Develop > Show Web Inspector". Step 2: Click "Network". Get back to the conversation including the files you want to save and play the voice file. And you will see an audio file has been loaded in the Network area. Double click on the file to make the file downloaded.